John C. Galo is the son of the late Elizabeth and Dr. Frederick Bressi Galo. He is married to Anna Benavides Galo. 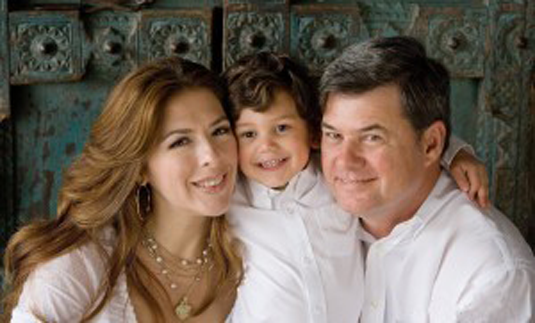 Together, they have a six-year-old son, John Roman Galo. Mr. Galo graduated from the University of Texas at Austin with a bachelor´s degree in Petroleum Land Management. While at the University, he served as president of the Petroleum Land Management Association. Currently he is very active in his family’s business as Co-Operations Manager of several companies dealing with oil and gas holdings, commercial real estate, and ranch industries which includes deer management programs and cattle operations. He is a former city councilmember for the City of Laredo and represented District III for eight years. He is a former member of the Planning and Zoning Committee. 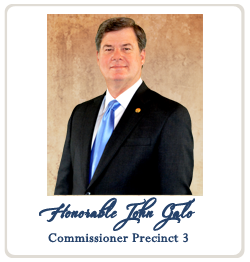 He has also served in the past on many committees for the City of Laredo including the Metropolitan Planning Organization. He chaired the city’s Water Issues Committee, Engineering Contract Review Committee, and the Oil and Gas Review Committee. He was also a member of the Protocol and Procedures committee. He is a former board member of the South Texas Rain Enhancement Association and a former member of the Board of Directors of the Border Trade Alliance. He also chaired the City of Laredo Charter Review Committee. John along with his family is an active member of St. Patrick’s Catholic Church and a member of the Equestrian Order of the Holy Sepulchre of Jerusalem. Both John and his wife, Anna, have a long history of service with the Society of Martha Washington. In 2010 they were elected by the members of the Society to portray George and Martha Washington as part of the Washington’s Birthday Celebration held annually in Laredo. John along with his wife, Anna, and their family have partnered with the South Texas Food Bank in the Kids Cafe Programs in Laredo, El Cenizo and Rio Bravo. The kids´ cafe housed at the Benavides Boy’s and Girl’s Club in Laredo is named John Roman Galo and Zoe Benavides Kids Cafe after their son and niece.